A bracelet for serious bikers and enthusiasts in sterling silver from Pura Mexico. 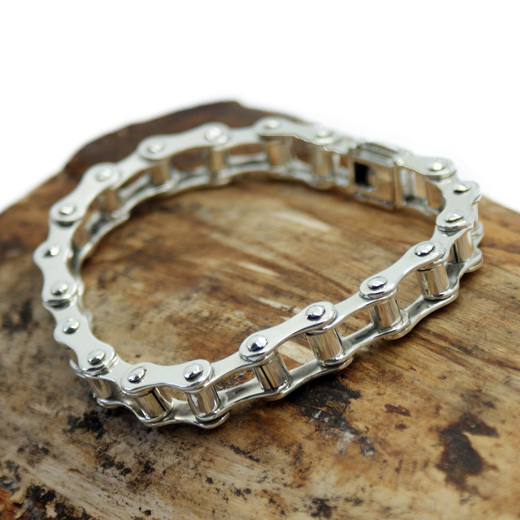 This solid weighty piece of jewellery is a handcrafted chain with a strong tooth finishing clasp. This is a very well made piece of jewellery. 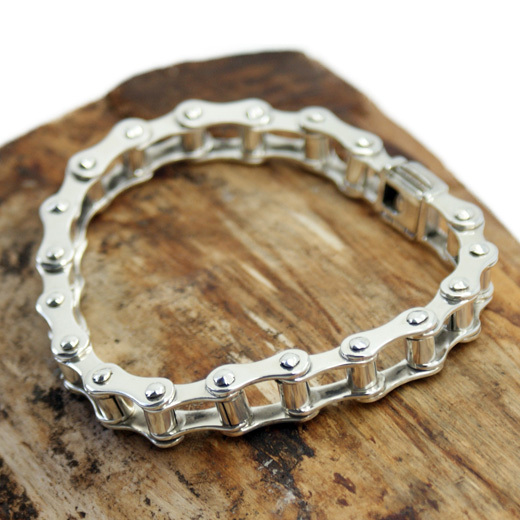 Suitable as a gift, it can be worn by men or women. Not exactly what you are looking for? 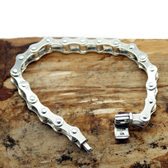 We have a wide range, see the silver bracelet gallery for other options. UK items are usually received the in 1 - 2 working days when sent using this service but can take up to a week.